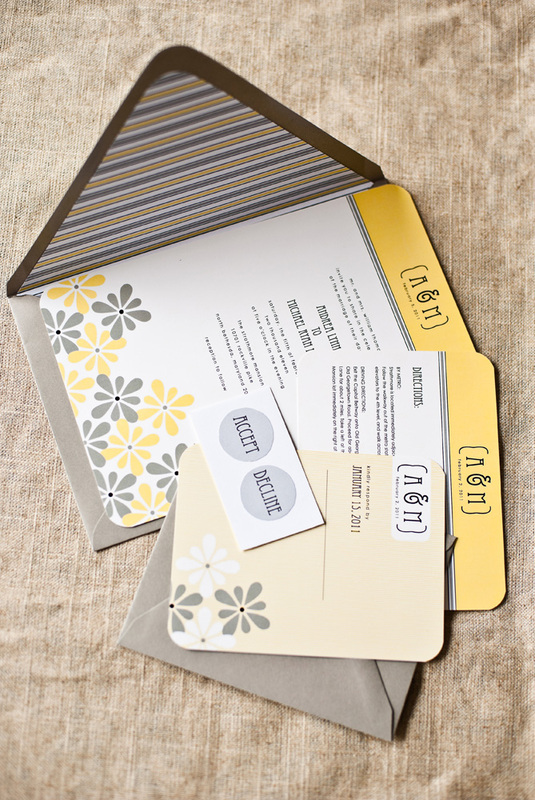 Now that the 2011 wedding invitation season is well underway, it has been fun witnessing the evolution of this year's trends. At the top of our list? Grey as the new neutral. We've previously paired it with red, pale blue, and cream, but this bright and sunny yellow is our new favorite. So, without further ado, we present our newest design, the Rockville. Preppy pinstripes, fun florals, and lots of thoughtful and unexpected details- what's not to love? To learn more about the Rockville, click here.